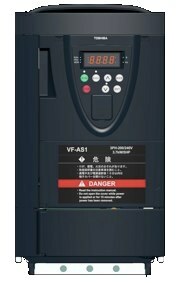 VF-AS1 is a general purpose, high performance high torque drive for several critical and demanding applications in industry. Washing machines, treadmill, showcase refrigerators for stores, medical equipment, etc. Drilling machines, handling machines, conveyors, semiconductor production equipment, cutting machines, woodworking machinery, etc. Paper and film lines, printing machines, presses, coilers/uncoilers, etc.